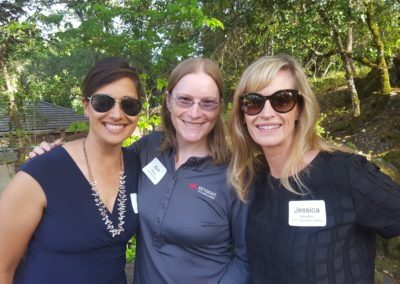 Santa Rosa, California (March 13, 2019) – The Career Technical Education (CTE) Foundation Sonoma County has launched its newest initiative in partnership with the county’s largest employers and education institutions. The Sonoma Corps is a pilot program recruiting high school students in their senior year to prepare them for a “gap year” work experience internship following graduation. Beginning in Fall 2019, up to 20 seniors from Piner High, identified through a competitive application process, will attend semi-weekly classes to develop work-readiness and technical skills, meet employers, and explore how personal interests can lead to lucrative careers with Sonoma County employers. Upon high school graduation, participants will be assigned to a year-long paid internship based on their learning objectives and aligned to economic development needs in the county. After successful completion of gap-year internships, participants will be awarded scholarships for tuition at a post-secondary institution, preferably into education pathway programs at SRJC and SSU. Ethan Brown, program manager at the Sonoma County Economic Development Board and Sonoma Corps steering committee member, sees that many in-demand jobs increasingly require skills and knowledge that go beyond entry-level skills. Sonoma County’s population is aging faster than the national average – 28% of our local workforce was over the age 55 in 2016 – and rapidly losing residents under 25 years old due to the region’s high cost of living and perceived lack of opportunities to earn a living wage. Concurrently, many high school graduates find themselves unprepared to enter college – financially, emotionally, and academically – and instead languish in transfer programs with little direction or motivation to persevere in their studies. These same students also lack relevant skills for efficient transition to in-demand, skilled, high-wage jobs which would allow them to stay local. Developed in partnership with public and private stakeholders, Sonoma Corps is a gap year program for high school students. Several industry partners are involved in the design and implementation of the program, and have signed up to host a “gap year” intern with their company, including: County of Sonoma General Services Department; E&J Gallo; Keysight Technologies; Labcon; Straus Family Creamery; and Sonoma-Marin Area Rail Transit (SMART). In addition to major employers, key education stakeholders have pledged support to bring Sonoma Corps to fruition: Jerry Miller, Senior Dean, Career & Technical Education and Economic Development at Santa Rosa Junior College; Lisa Vollendorf, Provost at Sonoma State University; and Stephen Jackson, Director, CTE Partnerships at Sonoma County Office of Education. 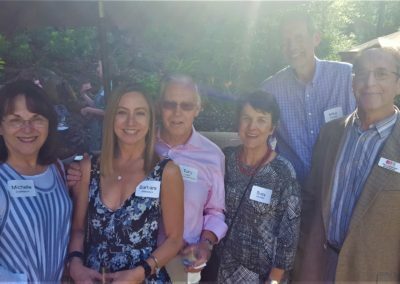 Jen Klose, President of Santa Rosa City Schools Board (the largest district in the County with six high schools, including Piner) is a close collaborator on Sonoma Corps, and will be instrumental in its pilot implementation, evaluation and model development. Finally, Ethan Brown, Program Manager at the Economic Development Board will represent the Strategic Sonoma coalition on the Committee. Steering Committee activities launched February 11, 2019. All partners named above gathered to discuss motivations for joining the effort, come to agreement on program goals and desired outcomes, and provide input on the ideal candidate for the program. Monthly meetings have been set for the year to guide program development, including senior-year course curriculum, gap-year internship structure, student recruitment and wrap-around support planning. The Career Technical Education (CTE) Foundation, founded in 2013, works to improve the economic outlook for Sonoma County’s youth by investing resources in a coordinated system of college and career readiness programs that lead to high-wage, high-demand, and high-skilled jobs in the county. The aim is to significantly improve overall student success and achievement through innovative educational programs that simultaneously mirror local economic trends and workforce demand. This is accomplished by gathering input from local employers about the skills gap and workforce training needs to help guide and coordinate opportunities to build a constructive connection between educational institutions and industry leaders while retaining the flexibility to respond to the challenges and needs faced by both. Last spring, the CTE Foundation, in partnership with Sonoma County Office of Education, launched a community engagement process to help develop a common definition and success measures for what it means to truly be “college and career ready” for Sonoma County graduates. 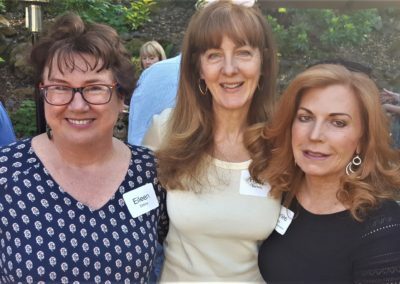 Through this effort, a task force was formed to answer the question: What skills and characteristics does a K-12 graduate in Sonoma County need to demonstrate in order to successfully transition to the post K-12 world? What are the implications for the design of the learning experiences—and equitable access to those experiences—we provide in our school systems? Several local high schools are already implementing around graduate profiles, providing a stated vision for what students should know and be able to do to succeed and prepare for “what’s next” after graduation. With the input from local districts, the development of a Sonoma County Portrait of a Graduate through a community-wide approach, can serve as a North Star for local school in setting their own strategic direction in designing the overall educational experience for students. More importantly, this collective vision can reinvigorate and re-engage our students, teachers and community stakeholders. CTE Foundation is happy to announce its renewed partnership with Kaiser Permanente Northern California Community Benefit Program. The grant supports work to expand and enhance two signature programs that enable high school students to explore a wide variety of careers in healthcare while learning technical and soft skills required by the industry. Implemented by Santa Rosa Junior College, students learn through a series of lectures, labs, and job shadows at local institutions. Importantly, participants earn both high school and college credit. Read the stories of two students who participated in last year’s Summer Health Careers Institute, and check out links to both programs below. Registration is now open for Fall 2017 Health Careers Academy! 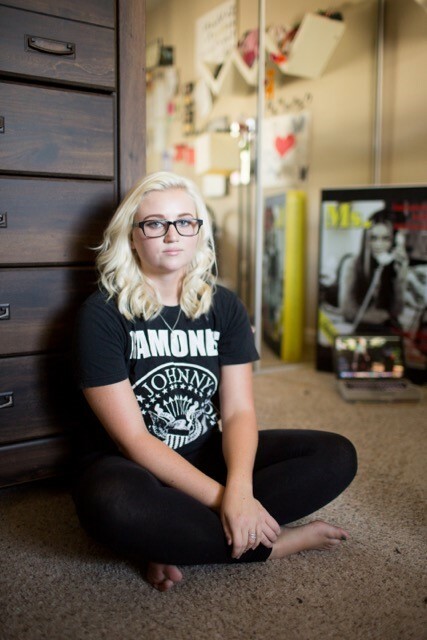 Daisy always knew that she would go to college one day, but she really didn’t start thinking about what it would take to get there until encouraged by her teachers at Casa Grande High School. 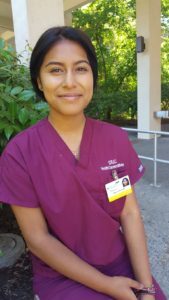 “College felt far away,” she says, “In Mexico, education is really different, and I didn’t have a sense of the process.” Daisy’s Clinical Biology teacher knew that she was interested in becoming a nurse and told her that the SRJC’s Summer Health Careers Institute would be a good experience, and it would help her prepare for ongoing education. Daisy talks enthusiastically about the application process, saying that not only was it her first real interview expe rience, but it also helped her learn how to present herself in a professional way. “You can’t be trying to help people and not be passionate about helping others,” she says, and learning how to express that passion verbally was an important experience for her. Throughout his youth, Bryan has committed to helping others. Growing up he would sometimes end up in a hospital, and it was there that he saw first-hand how caring doctors and nurses could be. It was an experience that impacted him greatly, “I want to be in a position to help others, to comfort them, to make sure things at home are good,” he says. Outside of school, Bryan works 4-5 days a week at a local pizza restaurant, teaches Tae Kwon Do to little kids, and volunteers at both the food bank and at Petaluma Hospital. 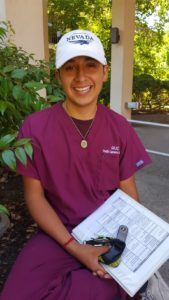 While getting his homework done is a challenge with these extra-curricular activities, he is grateful to have the opportunity to participate in the Summer Health Careers Institute. “This program is making me stay focused on my goals for the future. It’s worth giving up my summer to do this,” he states with a smile. When asked about what he appreciates about the program most he begins by saying, “I cannot stop talking about this things I have learned these last weeks, it’s incredible!” He starts by sharing how he has already used the techniques learned in the Crucial Conversations training at both his work and with his Tae Kwon Do kids. He then talks about his experiences shadowing people at the hospital, learning about how to chart, and observing the process of diagnosing patients. 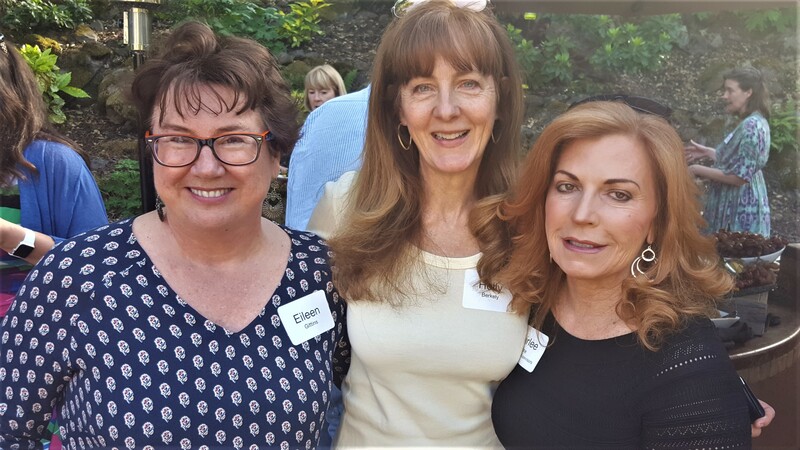 Community WISE Kick-Off Event Raises $30,000 in Pledges! 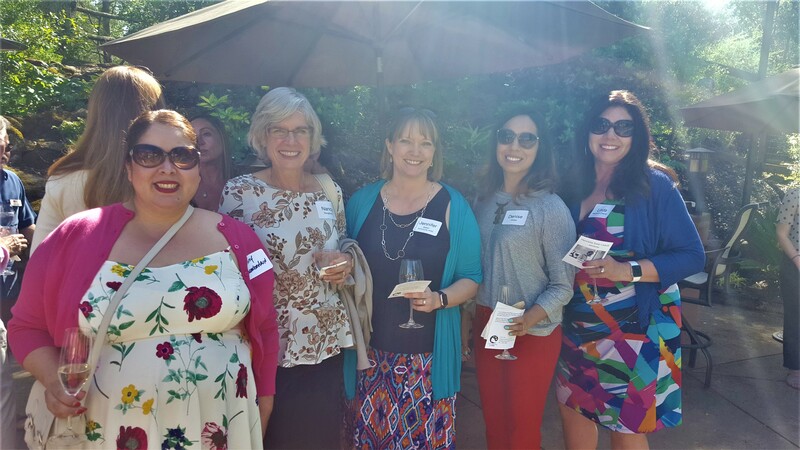 Community WISE (Women Investing in STEM Equity), a project of CTE Foundation, made its official debut this past weekend and quickly earned enthusiastic support from local industry and community leaders. 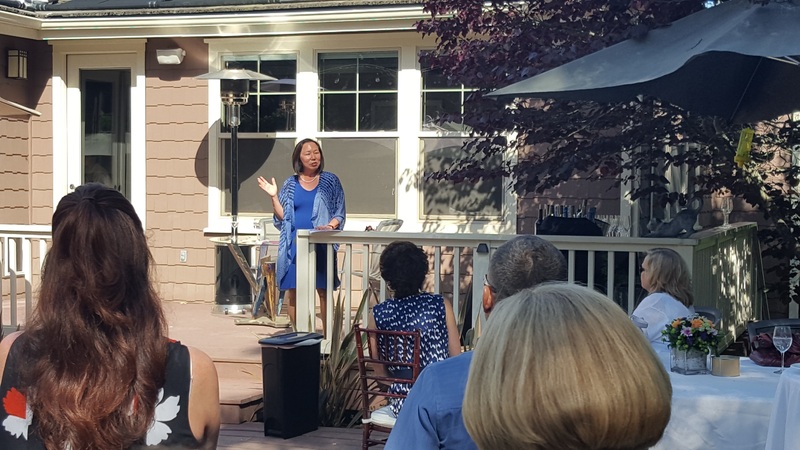 Dr. Judy Sakaki, President of Sonoma State University, and her husband, Patrick McCallum, hosted the intimate gathering at their home Sunday. 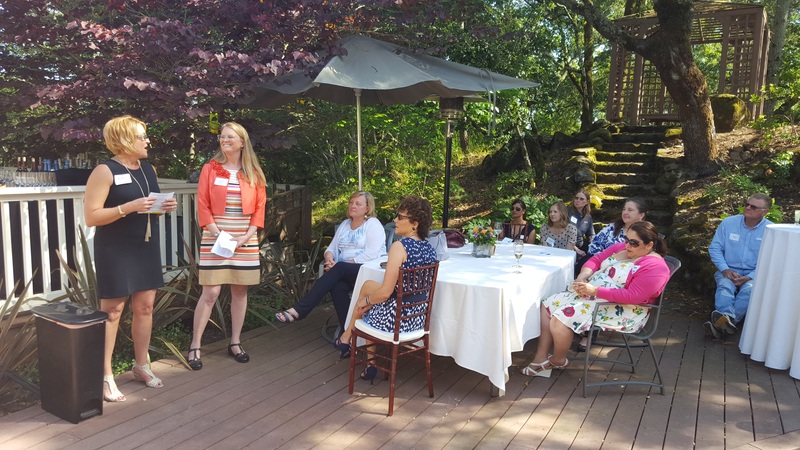 Dr. Sakaki shared her story of breaking barriers and overcoming gender bias throughout her career, and spoke to the need for programs that support future female leaders in the county. Kathy Goodacre and Dr. Lynn Stauffer, co-leaders of Community WISE, provided background on the program, its Mission and goals, and future plans for investment in local initiatives that inspire and prepare girls and young women in pursuit of STEM education and careers. Three students – Tania Deleva from Sonoma State University, Isabel Nunez-Perez from Healdsburg High School, and Miranda Pokorny from Technology High School – shared personal stories of the challenges each faced as young women forging their way through science, technology, and engineering education. 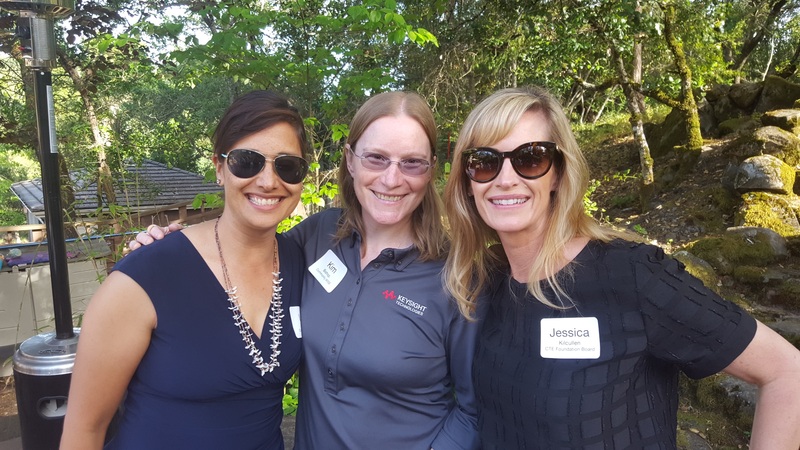 Lisa Wittke Schaffner, Executive Director of the John Jordan Foundation, and Hamish Gray, Senior Vice President at Keysight, each addressed the group and pledged their financial support to launch the program. Lisa and Hamish, both CTE Foundation Board Members, discussed the positive impacts on work force development and the local economy achieved by encouraging more girls to explore careers in STEM, and asked members of the audience to join them in the effort. Additional pledges were received following the presentation, generating more than $30,000 in pledged support. In 2016, CTE Foundation, in partnership with several local organizations and women leaders, set out to form a leadership group to address the formidable gender gap for girls and women in pursuit of Science Technology Engineering and Math (STEM) education and careers. 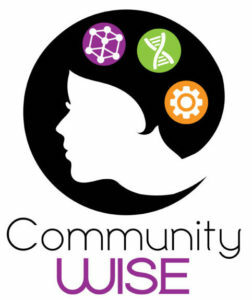 Community WISE was formed under the guidance of female leadership from CTE Foundation, Sonoma State University, Sonoma County Office of Education, Keysight Technologies, Straus Family Creamery, Sonic, and students in Engineering/Technology pathway programs in local high schools. Today, Community WISE seeks to convene a coalition of local employers, education institutions, students and community leaders who will identify and invest in engaging learning opportunities that inspire and prepare more girls and young women to pursue STEM majors and careers. Community WISE believes that our STEM workforce issues can only be solved by diverse partners collaborating to create disruptive solutions that promote equity for all girls and underrepresented racial minorities. 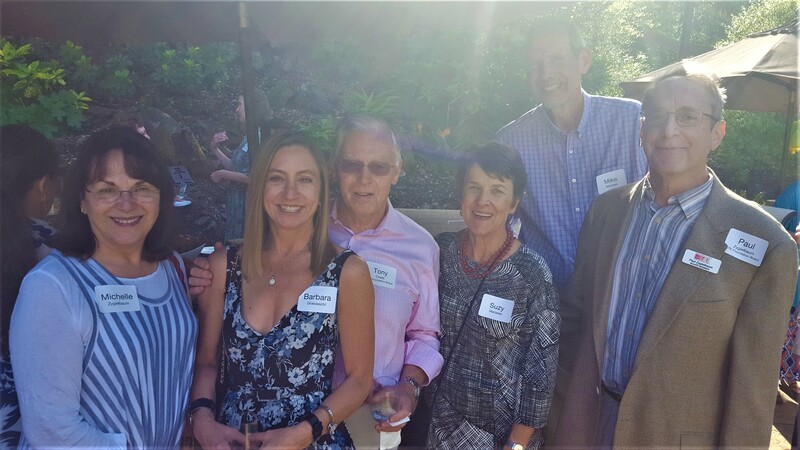 To learn more about Community WISE, or to join the coalition, please see our program web page, or contact Kathy Goodacre at 707-708-7080. 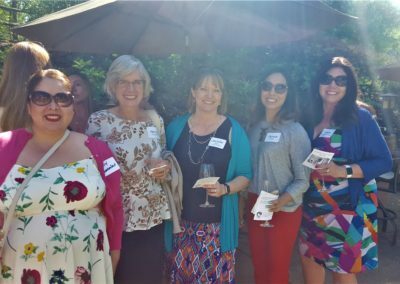 About Community WISE: In partnership with Career Technical Education (CTE) Foundation and Sonoma State University, Community WISE (Women Investing in STEM Equity) is a coalition of local employers, educators, students and community leaders who are committed to identifying and investing in strategies that empower girls and women in STEM education and careers. Congratulations are in order for Community WISE Steering Committee members, Isabel Nunez Perez and Miranda Pokorny. Each earned important recognition this week for their outstanding leadership, community service, and academic achievements. Isabel was chosen as one of ten high school seniors to receive a Press Democrat Community Youth Service Award. The award recognizes students for their volunteerism and commitments to helping others. Winners receive $1,000 and were chosen from 131 nominations from 16 schools, according to Wednesday’s announcement in the Press Democrat. 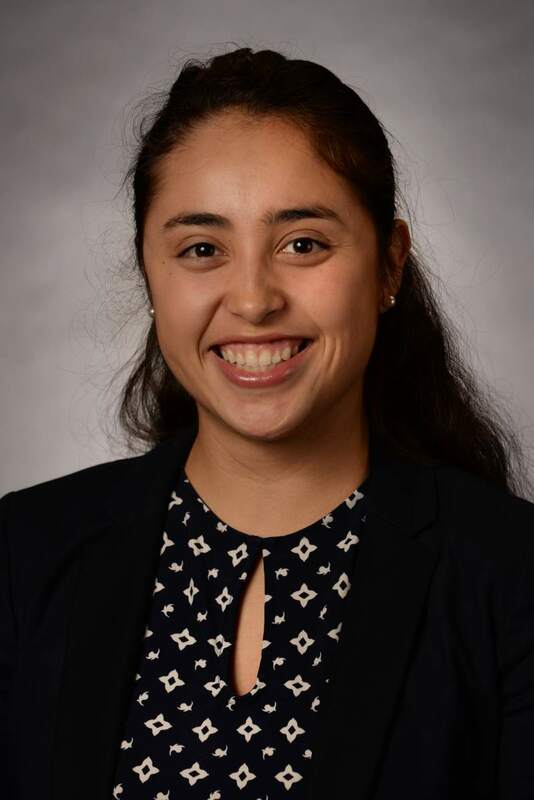 Isabel attends Healdsburg High School and was recognized for her work encouraging young students – especially girls and minorities – to pursue STEM education and careers. She mentored a team of elementary school girls in a robotics competition, helping them brainstorm and program the robots while sharing her experiences as a science and technology student. She loves to tell girls that engineering is not just for boys. Miranda Pokorny was selected to receive the most prestigious scholarship award offered by San Francisco State University – the Presidential Scholars Distinction-in-Service Program. According to the University, the award recognizes high-achieving freshmen that have distinguished themselves as scholars and leaders in their communities, and is offered to just 5-10 first-time freshmen each year. Miranda attended Technology High School in Rohnert Park, and is a strong advocate for girls and young women in STEM. 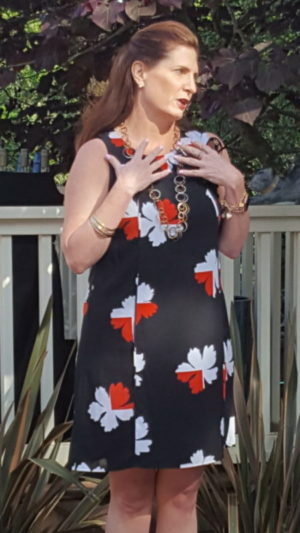 Her personal experience of gender discrimination and bullying has led her to work with the Equal Rights Advocates, a large gender equity law firm in San Francisco, who is using her case to develop training materials and guidelines to prevent discrimination in schools nationwide. We are so proud of these young women, and grateful for their participation on the Community WISE team. Congratulations, Miranda and Isabel! Nearly half of the jobs of the future require competencies in STEM, and yet women account for just 24% of the STEM workforce. Women’s under-representation in STEM fields begins early, with gender gaps in STEM interests beginning in middle school and growing throughout high school, college, and career. Far too many girls and women are discouraged from pursuing success in STEM fields. Our Mission is to invest in STEM initiatives for girls and women to enrich their learning and career opportunities. 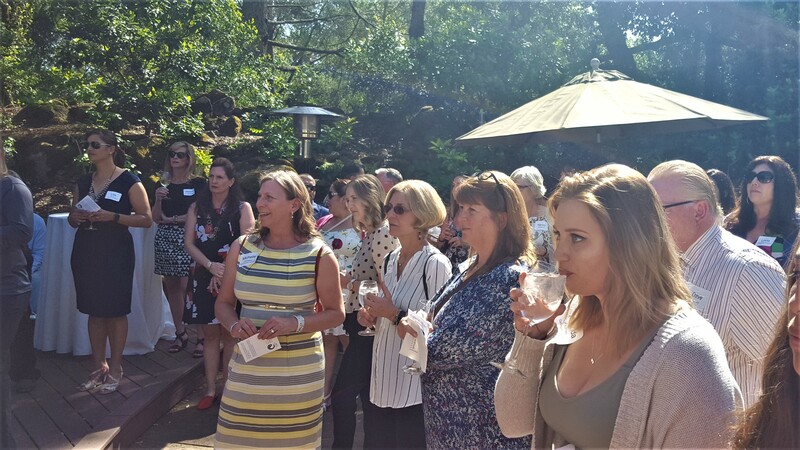 Our purpose is to build resources and lead change so that every woman and girl in Sonoma County achieves her full potential. We are committed to women’s economic self-sufficiency and we believe improving educational and career opportunities for girls and women in STEM fields will empower more women to secure economic independence through greater lifetime earnings and increased entrepreneurial opportunities. For more information, or to become a member of the coalition, please contact Kathy Goodacre, Executive Director, 707-708-7080. Or check out our Community WISE webpage. Annie has a look of intense concentration on her face. Peering in to the depths of a piece of machinery with the help of a flashlight held by her fellow student, she cranks an unseen part into place, intent on re-assembling the four-stroke combustion engine at her work station. She is the only girl in the class. Power Mechanics is one of many electives in Sonoma Valley High School’s Agriculture Academy/Career Pathway program. The class teaches the basics of engine design, repair, and maintenance, providing students an opportunity to learn technical skills relevant to the agriculture industry in a hands-on environment. Annie clearly enjoys the technical knowledge she’s learned in the class. 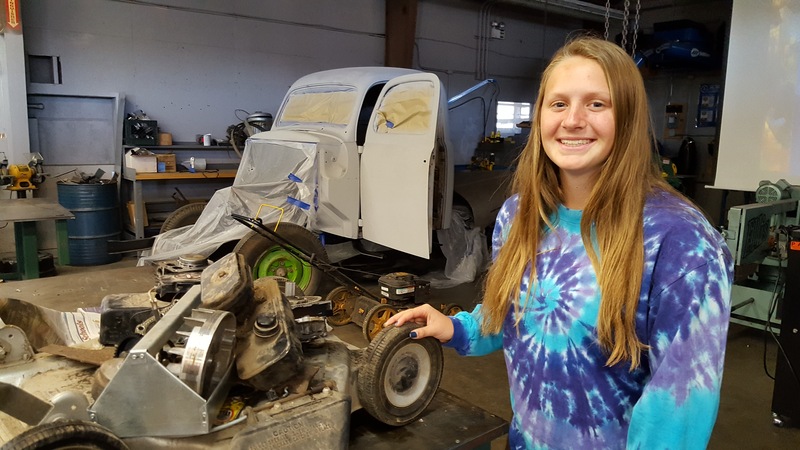 When asked how she is applying her new skills, she smiles broadly and says, “Right now I’m repairing my dad’s lawn mower.” Annie’s family owns a dairy and a vineyard, so in addition to regular lawn maintenance, there is always farm equipment that needs to be repaired and maintained. Annie is happy that she can now help with these chores, and it sounds like her father is too. “He thinks it’s pretty cool and he’s excited that he can talk to me about some of this stuff,” she says. Engine maintenance aside, Annie plans on staying in the family business. She is enrolled in Plant and Soil Science and is planning to take a viticulture class in the near future. 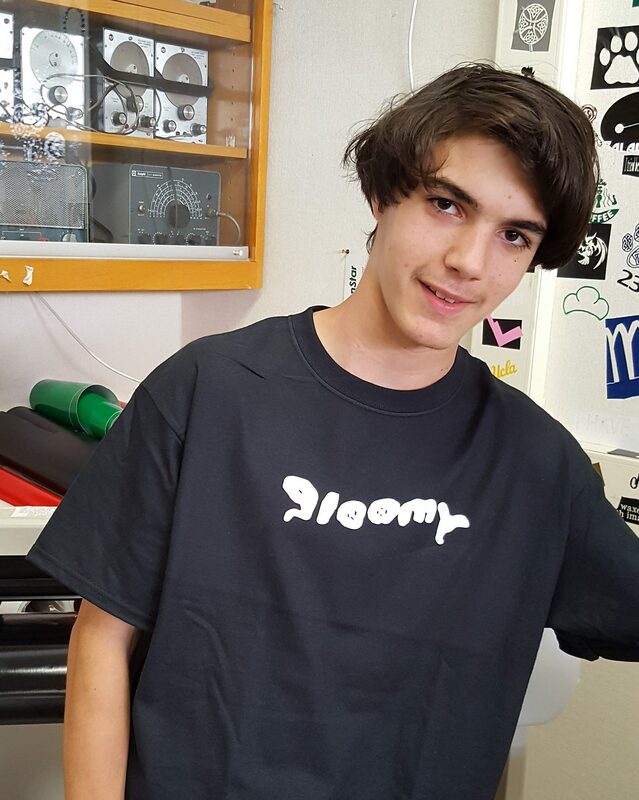 Ben A., a student at El Molino High School, is creating a new clothing brand that he believes will be a big hit among his peers. At fifteen years old his friends are already rallying behind his idea, and Ben is starting to make T-shirts with the logo he designed. Ben’s participation in his school’s Project Make class has helped him develop his brand ideas and spurred his interest in entrepreneurship. Project Make is a CTE course that teaches students basic design and engineering principles, and allows them to practice using tools and technology currently in use in a variety of industries, such as 3D modeling and printing, graphic design software, simple circuitry and computer programming. In addition to learning technical skills related to design and manufacture, the class develops skills in project management, budgeting, problem-solving, and communication. At 11 years old, Ben had his first encounter with Photoshop and was immediately hooked on the ability to create and manipulate images. Ben is considering his post high school options now. Going to college to get a marketing degree is one option, going to a school where he can build on his skills in design and video production is another. Whichever path he chooses, he’s certain that a career in creative design and marketing is in his future.